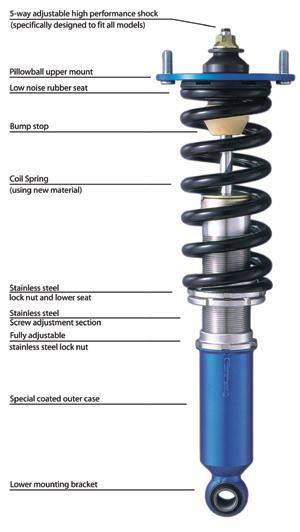 The Cusco Zero-2 Coilovers are a fully adjustable kit providing excellent ride on the road or at the track! 5 way adjustable coilover kit with ride height adjustment. Want a lower the ride height without sacrificing stroke length. Wants to explore various personalized settings for different road, track or weather conditions. Frequently changes various tire applications for purposes. Want a smooth comfortable shock absorbers recommended settings. Versatile five stage fully adjustable shock absorbers recommended settings.